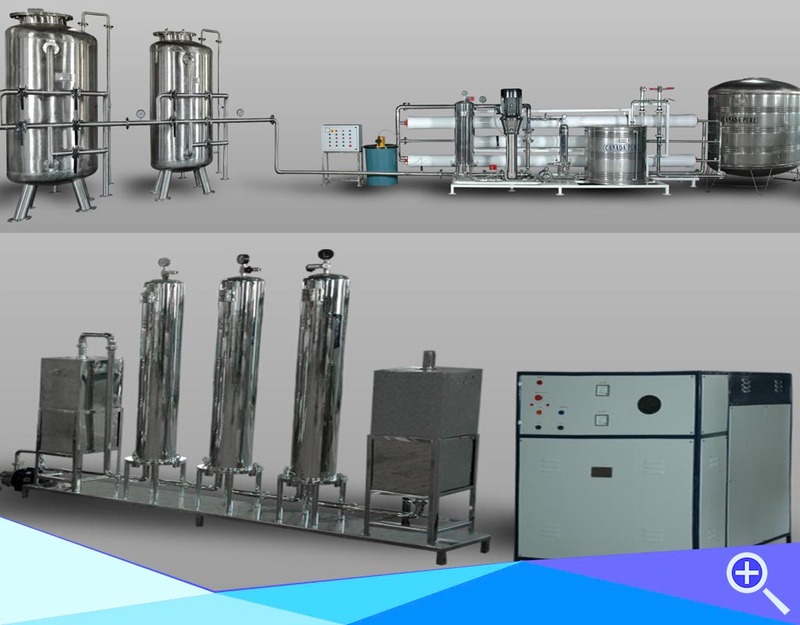 Canadian Clear Mineral Water /bottled water packaging equipment has a wide range of variants which meet our clients specific requirements of Rinsing filling capping bottles of various sizes. The Equipment is a fully automatic consisting of In-Feed air conveyor followed by rinser filler capper which Rinses, fills and caps and finally a discharge conveyor. The PET bottles are automatically Rinsed filled and capped untouched by human hand. The bottles automatically transfer to the discharge conveyor where they can be labeled and Batch Coded before being put inside cartons (or) packed in shrinks film. 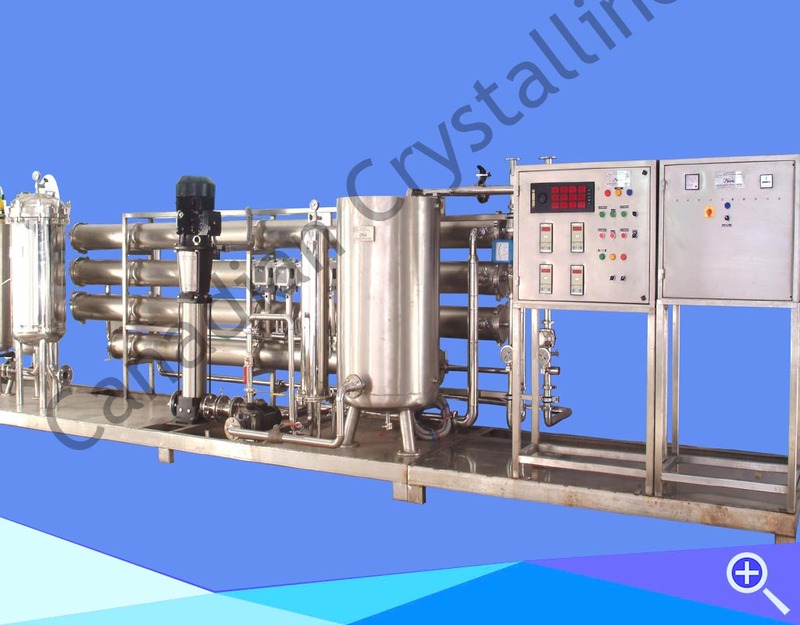 Our company has emerged as a leading and reliable manufacturer and supplier in the field of Mineral Water Treatment Plant. 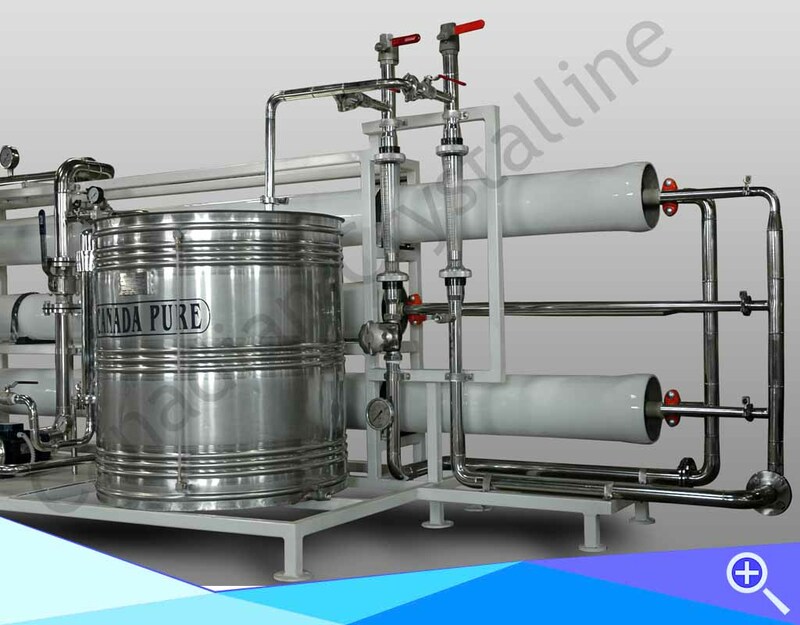 Having high utility and great demand, these water treatment plants are approved by the agencies. These plants have wide application and superior quality. These are made with reliable material and expert knowledge. Apart from this, our trusted clients can avail these water treatment plants at suitable prices. Bore well water passes through the IRF filter from the Raw Water Storage Tank. The IRF Filter removes Iron. Structural Design: Manufactured with FRP/SS outer casing to provide structure, strength and longevity of 20-30 years. Internally lined with acid resistance fiber re-enforced plastic (FRP) / Epoxy. All valves used in the system of International Standard. British Iron Removal Media (Mn O2) used to remove the Iron. The Iron removed Water passes through the TSS filter from the Raw Water Storage Tank. The TSS Filter removes all suspended and impurity to the size of 100 microns. STRUCTURAL DESIGN: Manufactured with FRP/SS outer casing to provide structure, strength and longevity of 20-30 years. Internally lined with acid resistance fiber re-enforced plastic (FRP) / Epoxy. All valves used in the system of International Standard. Special Centrifugally separated acid wash multi grade sand is used as a media. Extra diameter & height of the shell provided to give higher filtration area. With acid resistance fiber re-enforced plastic (FRP) / Epoxy. All valves used in the system of International Standard. Carbon with iodine value of 800 is used. Special carbon with iodine vale of 1200 is used for elimination of pesticides. Anti Scalant is dosed in recommended quantities on line by a automatic doser to prevent scale formation on the RO membrane and eliminate chemical fouling. The micron filter of 10, is housed in a specially manufactured FRP housing. The code of the cartridges used is code 4-PP, PVdf, Pleated, Membrane cartridge. The Anti Scalant Dosed water passes through the 5 Micron filter to the state of art Reverse Osmosis Unit. The RO membrane reduces the total dissolved solid of water to less than 5 PPM. The RO Unit is totally manufactured in house by SHIVSU in Technical Collaboration with M/s. Canadian Crystalline Inc., The RO Unit is specially skid mounted in a compact powder coated system. The membrane used in the RO system are state of art Polyamide membrane manufactured by M/s. Canadian Crystaline, Canada. The membrane housing are made of high pressure resistance fiber re-enforced plastic (FRP) or SS and manufactured by M/s. Canadian Clear which is our sister concern in India. 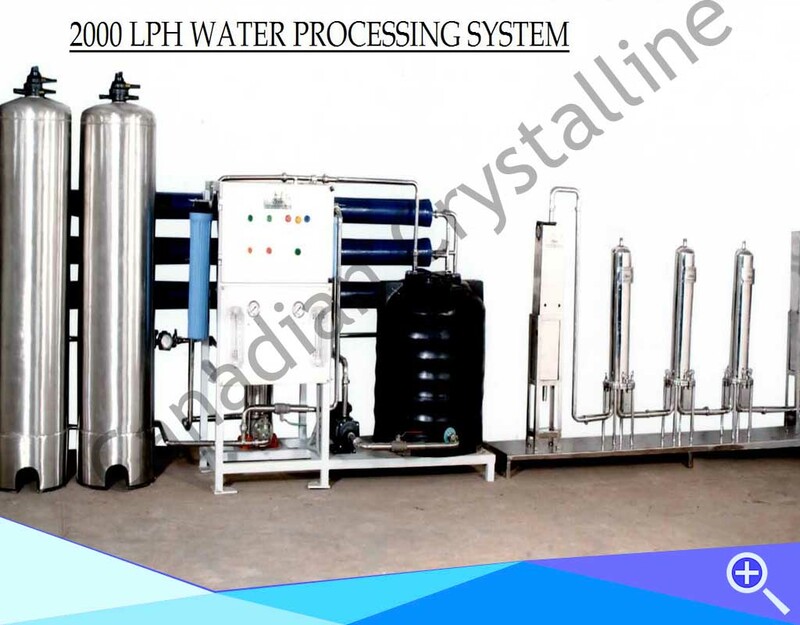 The system comes complete with high pressure Canadian Crystaline pump manufactured in Canada which is totally SS 316 material of construction as well as high pressure and low pressure cut off switch, flow indicator for rejection and product water high pressure solenoid valve and control panel.